•	Carnitine and Caffeine, renowned reducing agent, work in synergy to trim unwanted volumes and hasten waste excretion. • A refreshing and draining gel, formulated with research, helps to quickly ease retention and relieves all forms of discomfort especially at the lower extremities. This wonderful lightweight gel allows you to indulge and relax with the infusion of Tangerine and Grapefruit extracts which give an instant uplifting sensation. 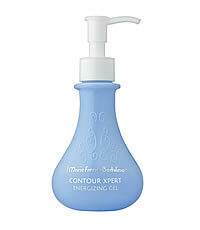 Contour Xpert Energizing Gel is designed to be used as frequent as required, and it optimizes the effect of other Contour Xpert body care when used concurrently. Dispense the gel direct on the skin and absorb with the palms in upwards directions. The product penetrates instantly. For heavy legs condition, start application from the lower legs and up towards the buttocks. Apply at anytime of the day especially after walking or standing for a long period. Use regularly for best effect! This entry was posted in 1 and tagged Fr3b, Free giveaways, free samples, freebies, MARIE FRANCE BODYLINE CONTOUR, S’pores 1st Sampling Concept Store, singapore free beauty samples, singapore’s 1st online sampling platform, skincare, www.fr3b.com. Bookmark the permalink.